Nobody in this day and age can argue that smoking cigarettes is a good choice for your health. 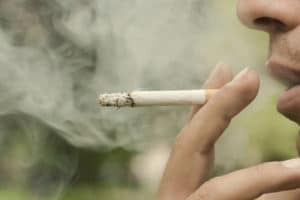 Lung cancer is a well known potential consequence and there is plenty of information out there about how damaging cigarettes can be to your overall health. City Dental Centers wants to remind our patients why smoking is more specifically a bad idea when it comes to your oral health. We are happy to present this article with some of the effects that smoking can have on the oral health of those who choose to participate in this dangerously unhealthy habit. These side effects alone are pretty serious, but we will dive further into a couple more you should be especially concerned about: gum disease and oral cancer. Not only does gingivitis and gum disease cause the gums to bleed, but the condition can be especially painful and eventually result in lost teeth if not treated effectively. Smoking substantially increases the risks of developing gingivitis and gum disease. This is exponentially worse if smoking is combined with other bad oral health habits, such as not brushing and flossing regularly or consuming large amounts of alcohol. Because of all the ways smoking deteriorates the teeth and gums, there is a much higher risk of developing oral cancer as well when you are a smoker compared to being a non-smoker. If you suspect that you have oral cancer, it is important to see a dentist immediately and to cut back or eliminate any contributing behaviors if you can. Oral cancer can result in devastating effects to your oral health. While prevention through being proactive is the best way to protect yourself, if you have oral cancer, early treatment is the next best thing. City Dental Centers is here for all your oral health concerns. For questions, or to schedule an appointment, give us a call or click one of the links below! City Dental Centers and City Dental Kids & Braces are the number one choice in resolving your dental needs. We understand that your health and well being is of vital importance to you and your family. Let us help when it comes to all your dental and oral health concerns! We look forward to continuing to serve you and our communities both locally and abroad. There’s always more you can learn as a dentist, and we look forward to continuing to better serve you in the months and years to come!